Breaking 300 yards off the tee box is an achievable milestone for the average golfer. In this book I reveal several simple ways to improve your clubhead speed resulting in longer drives down the center of the fairway. I spent a major part of my life developing a golf swing that allows me to break 300 yards with the driver. 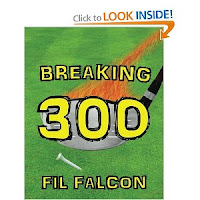 Regardless of your swing type, handicap, or skill level this book is designed to effectively improve the game of every golfer by helping you to consistently Break 300. 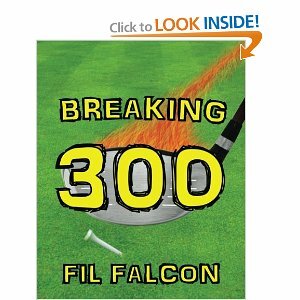 The focus of this book is to build a sturdy foundation for your golf swing. If you have a good, solid foundation, the rest of the swing will naturally fall into place. The majority of golfers have a good idea about how to hit the ball, but their foundation may not be the strongest. As a result, they are forced to use their athleticism to compensate for swing faults. By building a strong foundation from the beginning, you will have more fun and see increased consistency in your golf game. Thank you for sharing my interest in breaking 300 yards off the tee box. I wish you the best in discovering the hidden distance within your grasp.